I am always on the look-out for a new way to make quinoa. I love it so much that I even have a separate category in my bookmarks for quinoa. 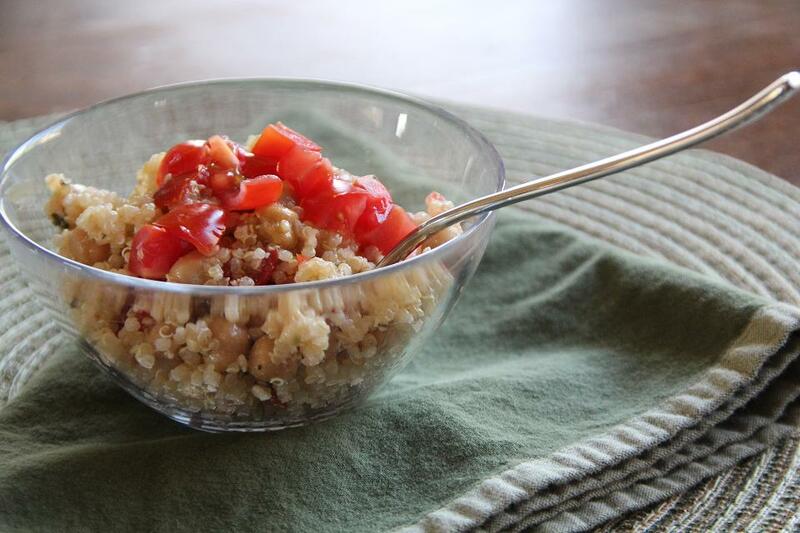 I love how easy quinoa is to make, and how nutritious it is. So of course, when I saw this recipe from Cookin’ Canuck, inspiration struck again. We have eaten this salad three times in the past three weeks. Once here at home, just for us, then once for a potluck at work, and then for our monthly celiac support group potluck meeting. It has gotten rave reviews from all! Cook quinoa in water according to directions. Cool. Combine with other salad ingredients, except the avocado. Whisk together dressing ingredients. Gently stir in dressing. Top with avocado. * I buy Bob’s Red Mill quinoa from Costco in the large bags. It says that it has been rinsed already. Some quinoa will need to be rinsed to remove the saponin from the surface of the grains, check the box or bag. * At this time of year I can usually find tasty cherry tomatoes. * It is best to not mix in the avocado unless you know you will be eating it all since the avocado turns brown after a bit. * I think this salad tastes best at room temperature. 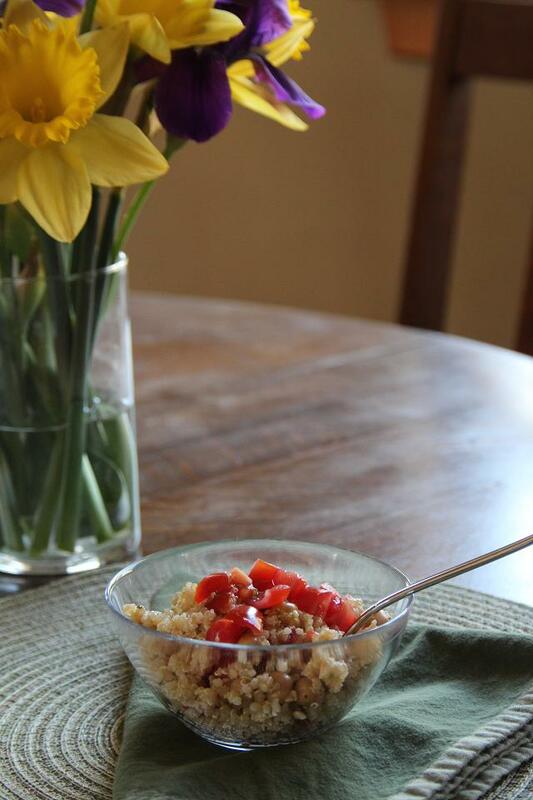 Do you love quinoa as much as I do? If so, be sure to check out my other quinoa recipes, especially one of my most-viewed and most commented-on recipes – Sweet Potato, Quinoa and Black Bean Burgers. This recipe is cross-posted over at Slightly Indulgent Tuesdays. Check it out for more inspiration! Over the past month, I’ve been making a lot of dishes using the produce coming out of our garden and what I’ve found at the farmer’s markets. 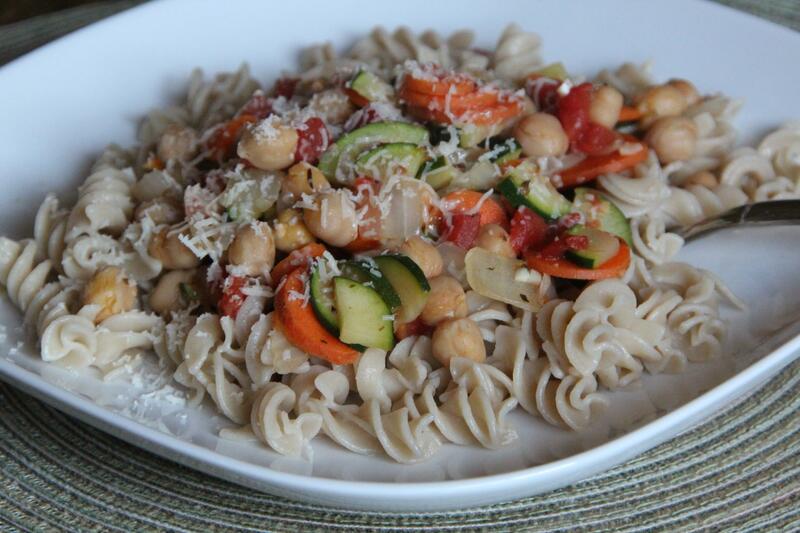 One of my favorite summer meals is pasta with a bunch of fresh vegetables. Below I present you with two variations on a theme, both of which are deliciously simple. I intended on getting this post up for Go Ahead Honey, It’s Gluten Free since the theme was “Dishes so Simple, No Recipe Required” but alas, I procrastinated and didn’t get it up. Regardless, go over to GF Easily and check out the other un-recipes. No measurements here, just go with what feels and tastes(!) right. Gluten Free Pasta, my favorite brand is Tinkyada (which is also sold cheaper as Trader Joe’s house brand of brown rice pasta). Fresh basil – lots of it! Cook pasta and drain. Toss with remaining ingredients. Again, no measurements but I wanted more vegetables than pasta in this one. Heirloom tomatoes, chopped – lots of them! Basil – lots of it! Cook pasta (gluten free pasta needs a lot of water to move around in!). Drain and rinse. In a large skillet, heat a bit of olive oil. Add in the sliced onion and cook over medium heat. Turn down and let the onions start to carmelize a bit and then drizzle some balsamic vinegar over them. Add in the chickpeas and let them heat through, stirring occasionally, and adding a bit more balsamic if you want. 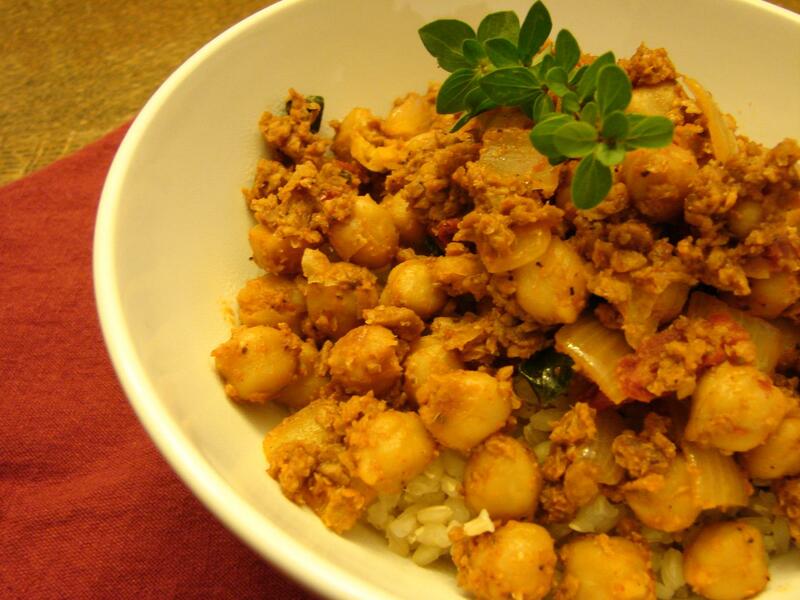 Toss onions and chickpeas into a large bowl. Add in the tomatoes, basil and feta, toss gently. Add in pasta (I wanted more veggies, less pasta in this version). Drizzle with a bit of olive oil and add salt and pepper (and/or more vinegar) to taste. * Sometimes I also saute a red sweet bell pepper with the onions. * Kalamata olives and/or toasted pine nuts are a nice addition. * Parmesan cheese instead of feta or goat cheese works too. So many variations! * Mix it up to fit your taste buds! 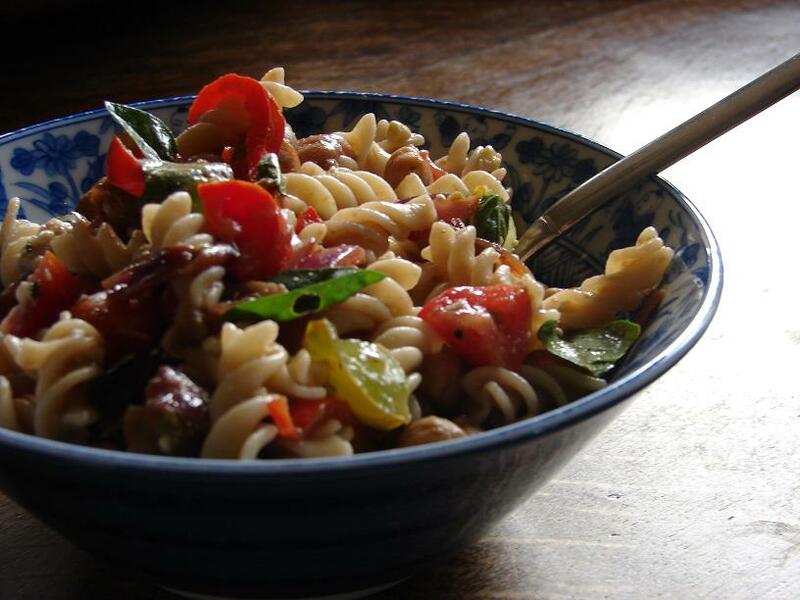 What’s your favorite quick summer pasta combination? This is a sort of “un-recipe” in that I didn’t really measure ingredients out but just tossed it together until it felt right. Here’s an approximation, but do what feels right for you. Throw it all in a bowl and mix it up. Tastes great the next day too! You could add some crumbled feta if you want, but I didn’t because it wasn’t going to be refrigerated the next day on my travels, just packed with an ice pack in my lunch bag. You could also add some finely diced red onion and top with a balsamic vinaigrette. I love pesto. But my husband does not. So it is one of those things I make for myself, and I only make him eat it occasionally. This summer I have been keeping a small bowl of traditional basil pesto in the frig and I have been enjoying it smeared on toasted Udi’s or Canyon Bakehouse bread with a slice of fresh mozzarella and a slice or two of tomato. So delicious. I had made some basil pesto earlier this week because my basil plants needed trimming and when I was digging around for something for lunch today, I found some leftover brown rice penne. So I lightly heated up the pasta (add a bit of water and put a lid loosely on it – I’ve found that it helps to reheat leftover gluten free pasta slightly, even if eating it cold or room temperature) and stirred in a big spoonful of pesto. Then I sliced up some cherry tomatoes and added a few little chunks of fresh mozzarella, salt and fresh ground pepper. What a delicious lunch! But I have also been known to make other types of pesto. A while back I made sun-dried tomato and spinach pesto. And when I saw Linda’s Pesto Challenge over at The Gluten Free Homemaker, I knew I needed to post this recipe since it has been languishing in my “future posts” folder for about six weeks now. I initially made this back when I was still harvesting a lot of spinach. No spinach growing right now, but it is almost time to plant spinach for a fall harvest. In a food processor, combine 1 cup of spinach leaves, tomatoes, garlic, salt and pepper. Pulse it while slowly adding enough olive oil until it is of a pesto consistency. Taste and adjust according to your preference. 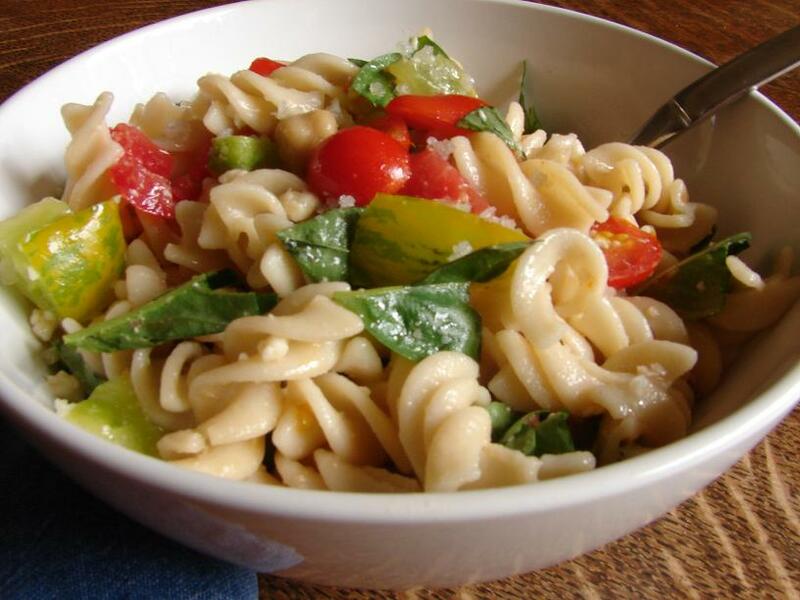 Stir pesto into warm pasta and remaining 2 cups of spinach leaves. 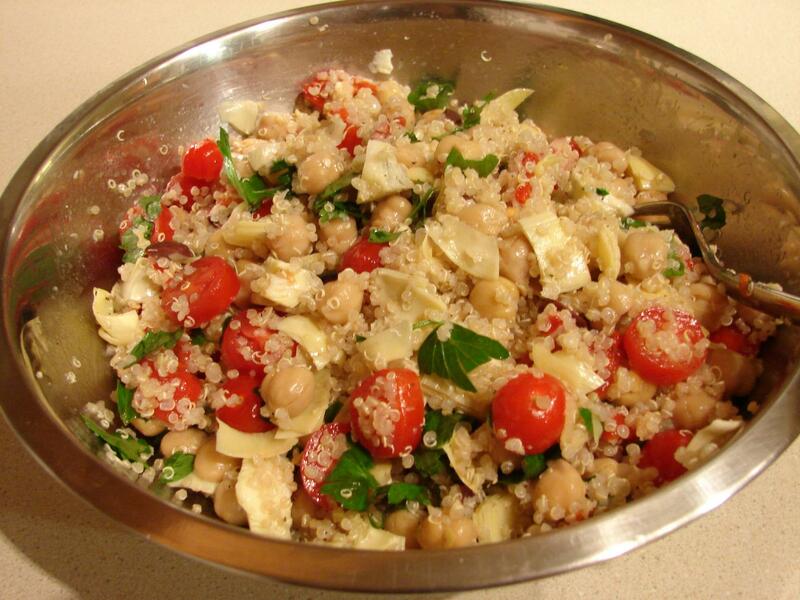 Add chickpeas and artichoke hearts and top with crumbled goat cheese. 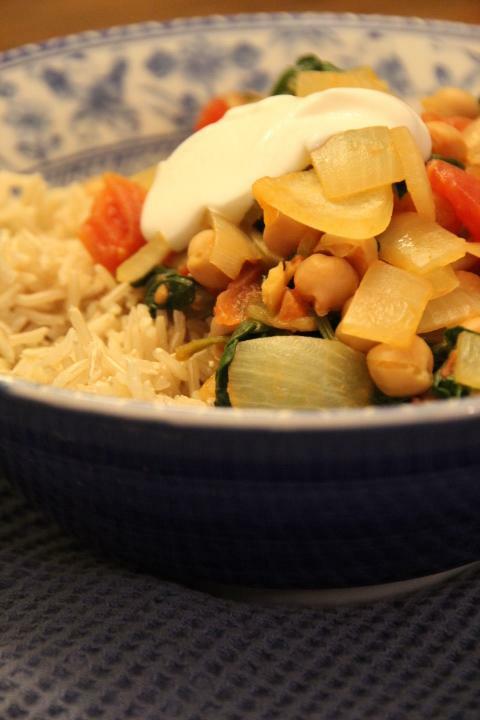 Easy, delicious and nutritious! * My preferred gluten free pasta is Trader Joe’s brown rice pasta. 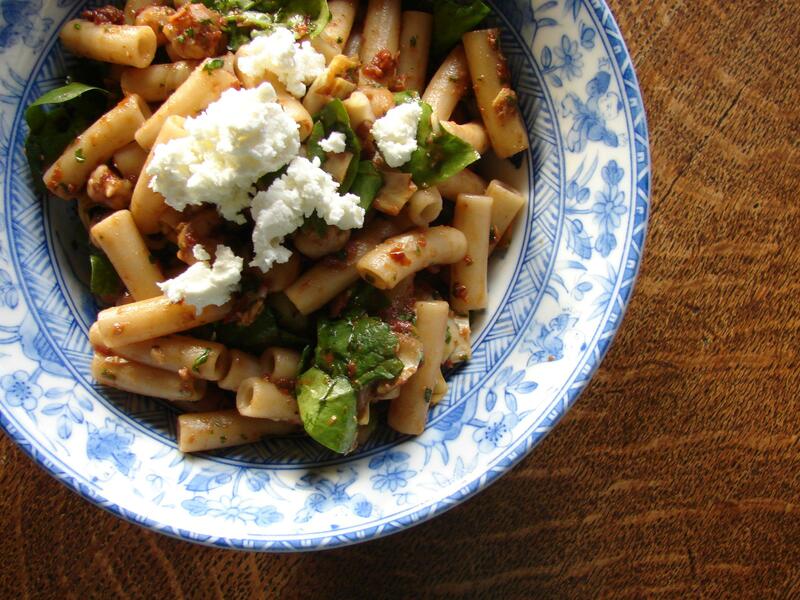 For this dish I used the penne but you could use any shape. My other favorite pasta is Tinkyada, which may be the same as Trader Joe’s pasta, just under a different label. * I prefer the artichoke hearts that are canned in water, not oil. I typically find them at Trader Joe’s. And depending on what I am making with them, I will buy the water or oil. **This post is linked to The Gluten Free Homemaker’s Pesto Challenge on Gluten Free Wednesdays and Simply Sugar and Gluten Free’s Slightly Indulgent Tuesdays. ** And be sure to check out past Gluten Free Wednesday pesto posts here.